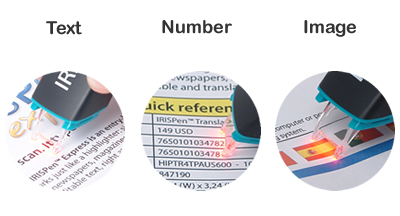 The digital highlighter that types what you scan ! magazines, fax, letters, etc. and the text is automatically imported into your computer. It works just like a highlighter! 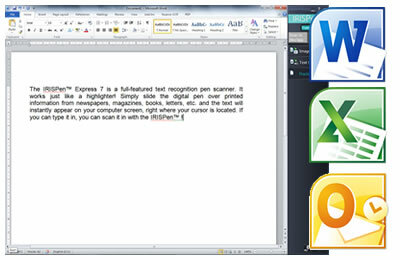 Simply slide the digital pen over words, sentences, paragraphs and numbers from newspapers, magazines, books, letters, etc. and the text will instantly appear on your computer screen, right where your cursor is located! IRISPen™ comes with a smart voice synthesis that lets you listen to anything you scan. You will then be able to scan continuously without having to look at your screen to check if what you’ve scanned matches the original document (English only). Word, Excel®, Outlook®, etc. You name it! Simply place your cursor into just about any application, and the scanned text, numbers or images will automatically appear at the cursor position. 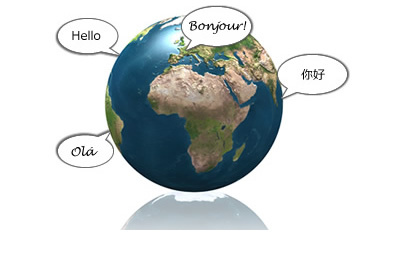 Thanks to I.R.I.S.’ embedded OCR engine you will be able to scan and recognize text in more than 30 different languages including Asian languages such as Chinese, Japanese and Korean.